With countless years of experience, we're the best choice for your next project! 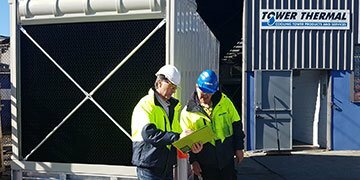 With over 20 years in the industry servicing and manufacturing cooling tower units, we've carried out projects for companies all over Australia. Through our own design, manufacturing, and testing, we deliver a product that is low profile, low noise, efficient, affordable and easy to maintain. 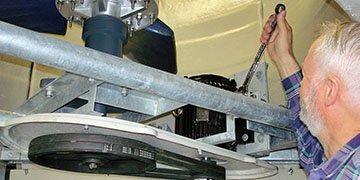 We manufacture our own products, so you can expect prompt quotes and technical advice with excellent product back up spares and engineering support. 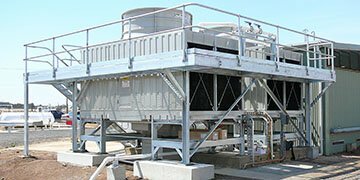 We have supplied cooling towers or services to just about every large Australian company over the years and also for export to New Zealand and other countries. Click the link below to view photos of projects undertaken by Tower Thermal. 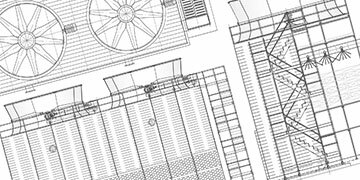 Tower Thermal Pty Ltd is an Australian manufacturer of fibreglass cooling towers. The company was started in 1995, with manufacturing under our own brand beginning in 1999. Our factory is located in Bayswater, Victoria from where we send our cooling towers to projects all over Australia. 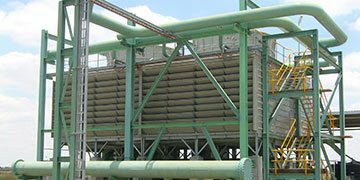 Other services include the reconstruction of all types of cooling towers, consultancy, and the supply of various fans, gearboxes, drive-shafts, etc. 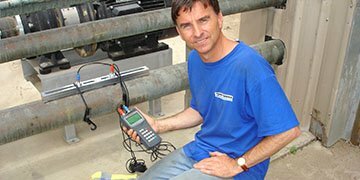 Turnkey installations are available for tower, piping, electrical and structural supports. TXQ, TXF, TXi, TXC, Quietflow, Quietline, Sidedraft, ImpactDeck, Tower Thermal, as well as others not necessarily noted here.